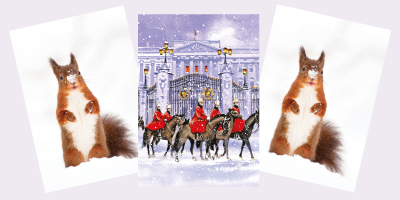 Home > Blog > This season's best sellers - what's your favourite Christmas card design? What do you think? We all have our own personal tastes and preferences. That’s why all of us at Admiral Charity Cards spend a lot of time preparing the new range for the season. Image libraries are searched and new card designs created. We want to present you with the best range possible. You can then choose your favourite from a selection of Christmas card designs which match your style. What’s your view of the best sellers so far? So have you found what you’re looking for? We certainly hope so. However, if our range of designs still leaves you short of choice, just send us your own image and create a Bespoke Christmas card designed by you. Now that will always match you own personal style. Contact Admiral Charity Cards today to request a catalogue, free samples or more information. Tel: 020 7610 6193, e-mail us at sales@admiralcharitycards.org or fill out the enquiry form on our web-site.